Not every lunch and dinner has to be a grand affair. 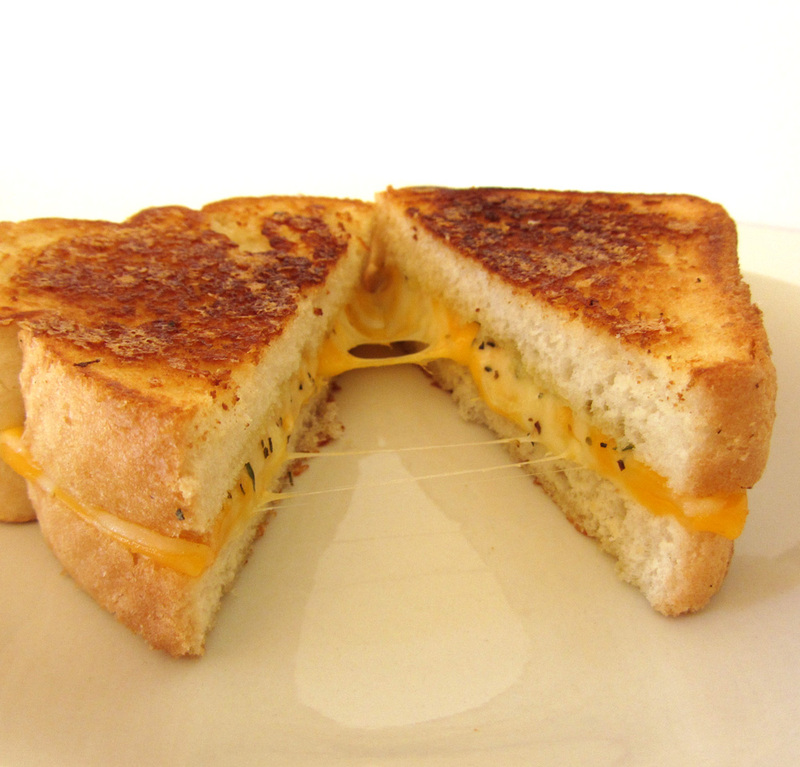 Sometimes, it's just a grilled cheese kind of day. This recipe is one of my family's favorites (the idea for putting Parmesan on the outside is from Kraft). 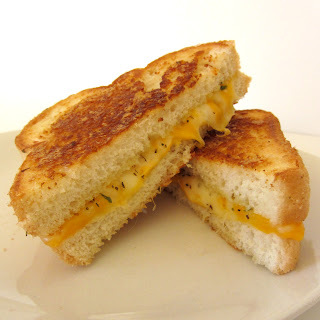 It's basically garlic French bread turned into a grilled cheese sandwich. Yum. 1. For the Garlic Bread Seasoning: mix all of the ingredients together in a small bowl. You can use it right away, but it's even better if you cover and chill for an hour to let the flavors blend. 2. Brush or spray one side of each piece of bread with olive oil. Sprinkle the seasoning evenly over the tops. 3. Place two slices of cheese on half of the bread slices. Put the cheeseless breads atop the cheesed breads to make sandwiches. 4. Spread butter onto both sides of each sandwich. 5. Sprinkle 1 tbsp of the Parmesan evenly over the tops of the sandwiches. 6. Heat a large skillet or griddle to about 200°. Place the sandwiches, tops down (Parmesan side down), on the griddle. Sprinkle the sandwiches evenly with the remaining tablespoon of Parmesan. Cook until the first side is golden brown. Reduce the heat to about 150°. 7. Carefully flip the sandwiches. Cook until the second side is golden brown and the cheese is melted. If cooking in batches, place the finished sandwiches on a rack (so they don't become soggy from the steam).